"The Official Website of the North Carolina WBTS Sesquicentennial Commission"
“Capt. Peter M. Mull, the son of Jacob and Mary Mull, was born July 11, 1832. He came from good old Dutch stock, the Mulls from Holland being the first settlers of Catawba County. 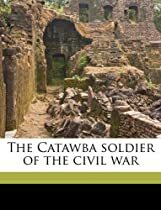 His early life was spent on his Father’s farm, where he worked and attended the county schools; and in 1855 he was a student at Catawba College. When the war broke out, he volunteered and went for six months in Capt. Wm. Hoke’s Company, of Lincolnton and was in the first battle fought at Bethel Church; and when his time of enlistment expired, he came home and the following spring, made up a company and was elected Captain April 19, 1862, and returned to the Confederate army, where he served until a few days before the surrender, being furloughed home on account of physical disabilities caused by a wound. On Sept. 6, 1862, when in command of two hundred picked men at Washington, N.C., he was twice wounded, in the head, and shot through the left lung, the latter wound almost causing his death. A few months after the war was over, Capt. Mull went to South Carolina and hauled supplies for the R.R. Co., the road then rebuilt from Columbia to Winnsboro. He also run a stage coach. After staying in South Carolina for eighteen months, he returned to Catawba County and bought a farm, and improved the old Mull mill, and engaged in farming and milling. This is an EXACT reproduction of a book published 1911. This IS NOT an OCR'd book with strange characters, introduced typographical errors, and jumbled words. This book may have occasional imperfections such as missing or blurred pages, poor pictures, errant marks, etc. that were either part of the original artifact, or were introduced by the scanning process. We believe this work is culturally important, and despite the imperfections, have elected to bring it back into print as part of our continuing commitment to the preservation of printed works worldwide. We appreciate your understanding of the imperfections in the preservation process, and hope you enjoy this valuable book. Report, Georgia Power protest, Ringgold Georgia.